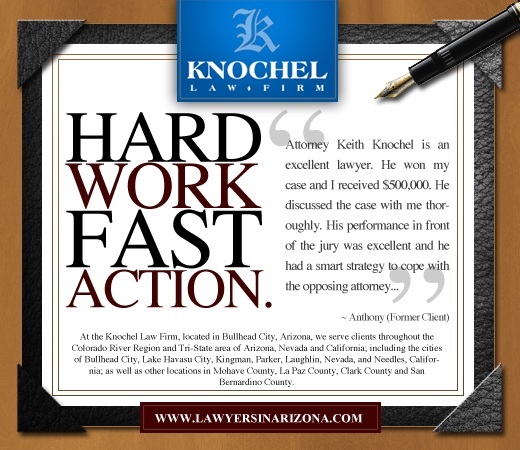 Attorney in Bullhead City AZ, Knochel Law Offices practices law in a variety of key practice areas. Whether you need help with criminal charges, bankruptcy, family issues, business disputes or estate planning, we have the experience and knowledge of the law that you deserve on your side. Our team of attorneys is led by Keith S. Knochel, who has been practicing law in the Tri-State area of Arizona, Nevada and California for more than 20 years. Serving Mohave and LaPaz Counties.